As it’s summer and everybody is planning a holiday, it’s high time to find out if everything is in order. 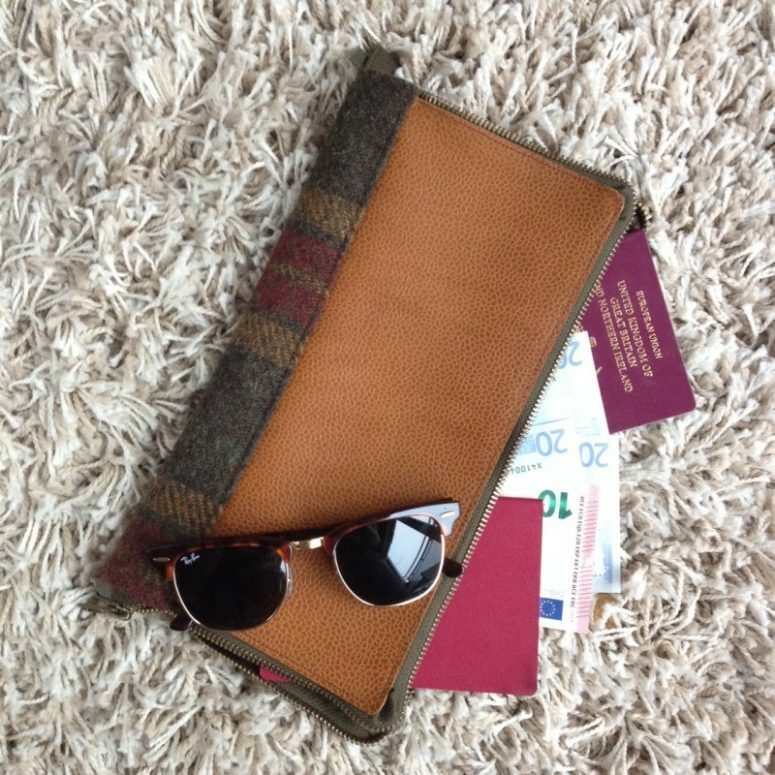 Your suitcases, bags and of course documents – you’ll need some holders or pouches to keep the passports safe. 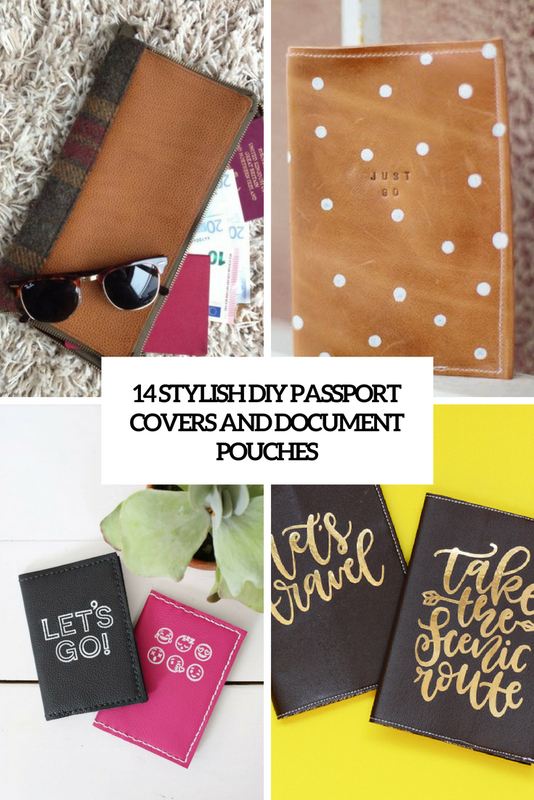 Make some passport holders to prevent your documents from staining and splashes or other dirt, or even document pouches to keep the papers in order – all of them in one place, which is very comfortable. Let’s take a look at these DIYs and choose what you like. 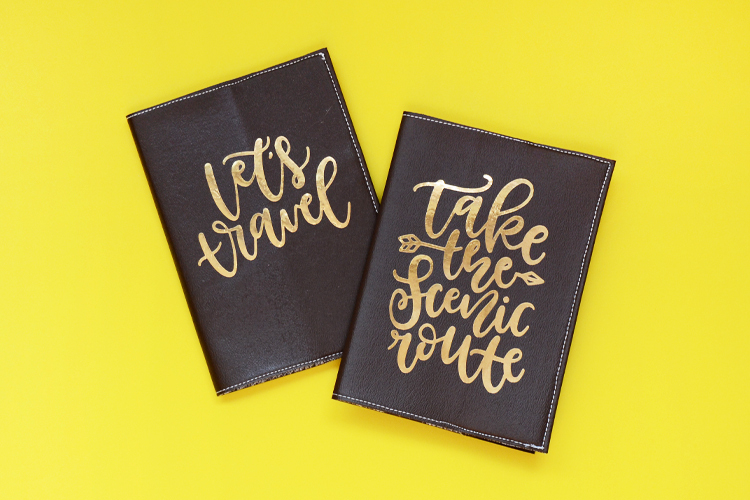 I totally love these glam passport covers made of leather and with gold calligraphy letters. The contrast between brown leather and gold letters is very cool and the covers look very elegant. Such holders will do for many people and you may gift them placing any letters you like on top. Missing the sea or going to the seaside for a holiday? 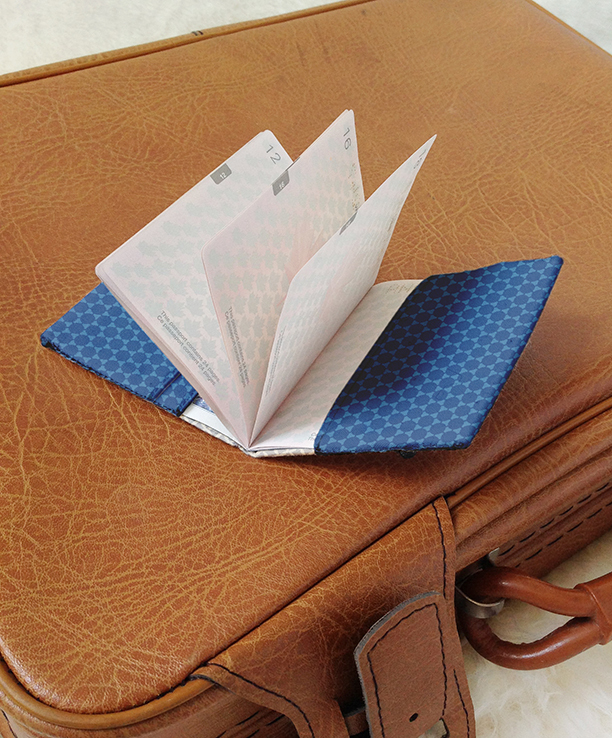 Just look at this light blue color of this passport cover, it’s very peaceful and chic and it reminds of the sea! Such a leather case will save your documents from anything and will remind you of the beach or coast where you are going or where you’ve been to. The whole craft is very simple and fast, it won’t take much time. 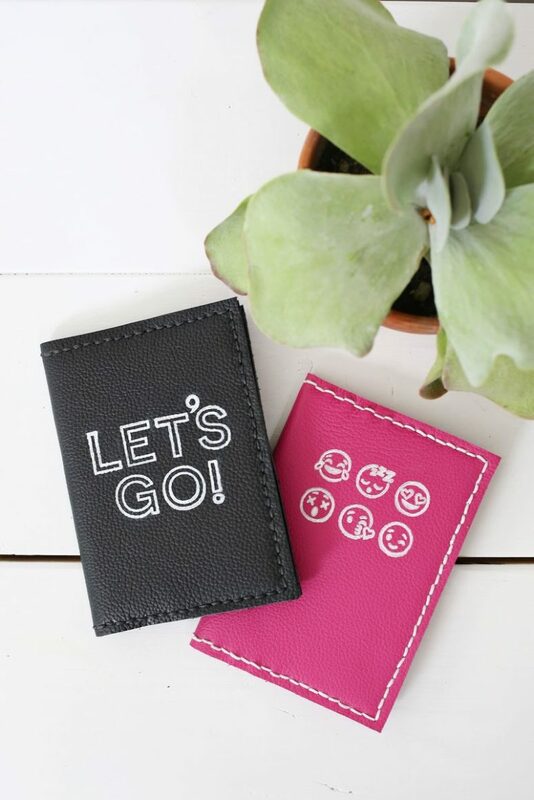 These awesome colorful modern passport holders are amazing for anyone, both girls and guys! They can be made of leather of any color and I totally like the modern letters and emojis placed on top. Use contrasting thread to make the covers stand out more. Enjoy! 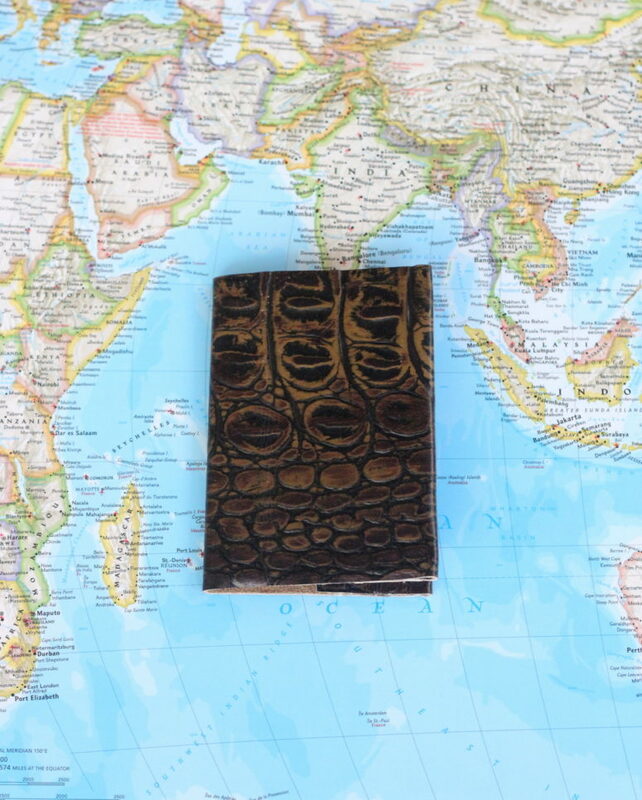 This passport holder looks amazing due to the special textural and colored leather used for it. The whole idea is very simple and you won’t need any additional decor because the leather itself is very chic and bold. A perfect idea for a guy or a man, make one to please the one you love. Are you a glam girl? Or just love metallics? 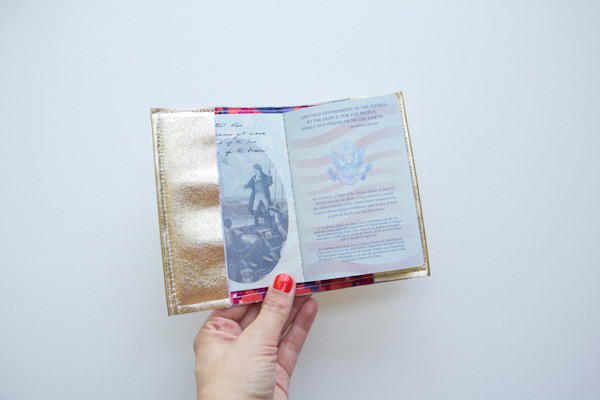 Then this passport cover is right what you need: it’s a holder made of gold leather and with a colorful printed fabric liner, perfect for a girl. The craft won’t take much time and the holder looks very cute and chic, most of girls will love such a gift. 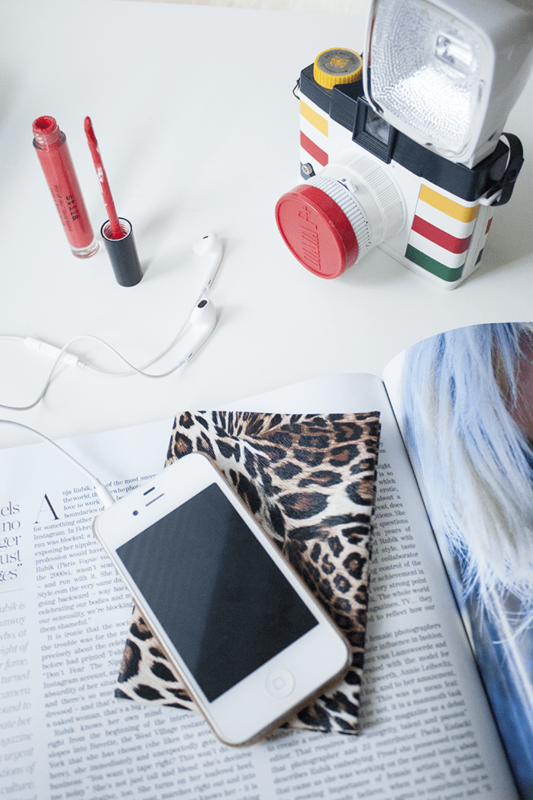 Animal prints are in trend and if you want to follow the trend, make a leopard print passport holder. This one isn’t made of leather like all the previous pieces, it’s made of vinyl, which means that no sewing is required, just gluing! Actually, you may choose any vinyl you like for a cool look. 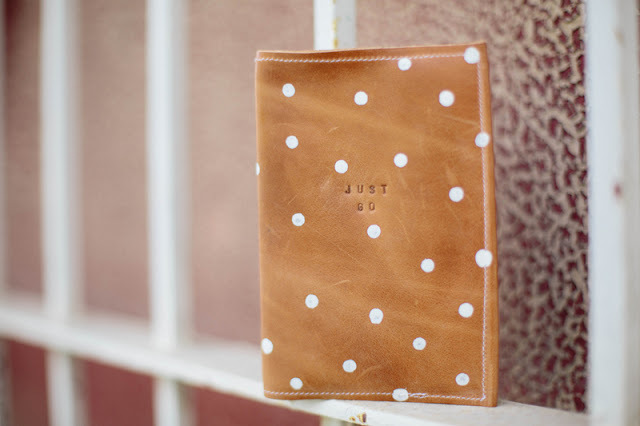 This passport holder is my favorite one: it’s made of brown leather, it’s stamped and is decorated with white polka dots, which make it super cute and very girlish. The polka dots are done with usual white paint, they are placed chaotically to achieve that cute uneven look. Get inspired! 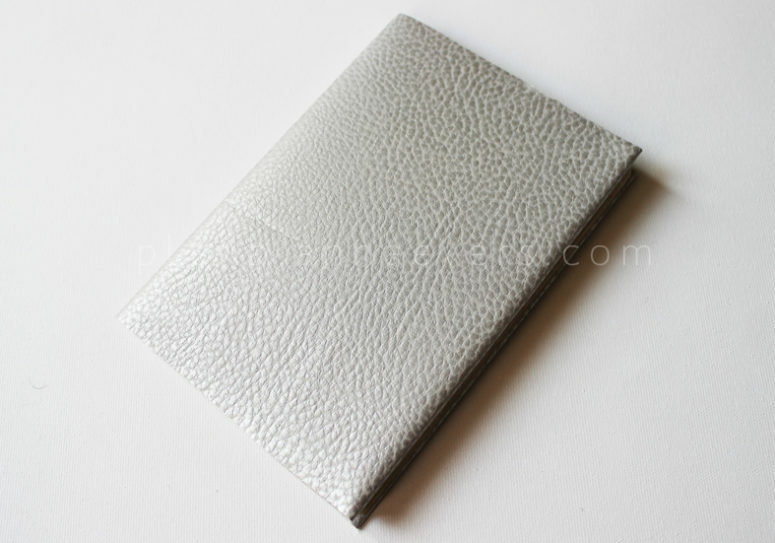 Here’s another metallic passport cover, made of leather or leatherette in greyish silver (maybe pearly silver). The craft is simple and fast and the result looks very stylish – it will fit many styles and many purses, too. Make one for yourself or your gals to go on holiday. Make a stylish leather passport holder with wax thread, suitable for any man or guy. Actually, the final result depends on the leather you take – if it’s pink, it can be nice for girls, too! 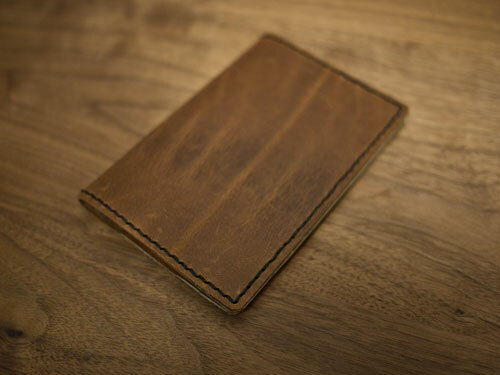 Read how to make a high quality leather passport holder. This is a stylish passport holder made of fabric and with a hair elastic, which makes it possible to insert some more documents inside. Take any fabric that you like or find something similar to that from the tutorial and enjoy! 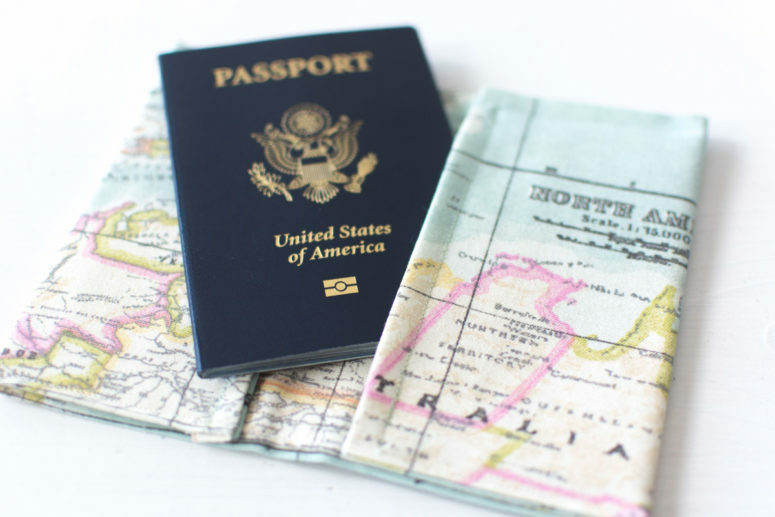 What can be more inspiring for travelling than a map printed passport holder? This case is made of such fabric and looks totally cool! You can also DIY map-printed pouches and bags for travelling, read the tutorial and make your own travel kit. A pouch can be more comfortable than a usual holder or case because it allows to put all your documents there and even something else. 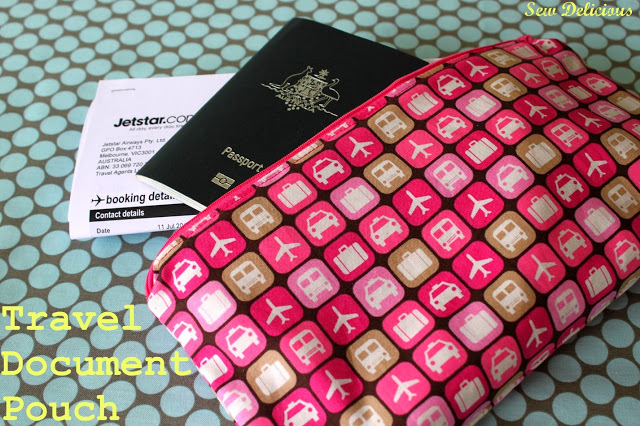 The thing I totally like about this pouch is a bold fabric with travel-themed prints, which really inspire to go somewhere. 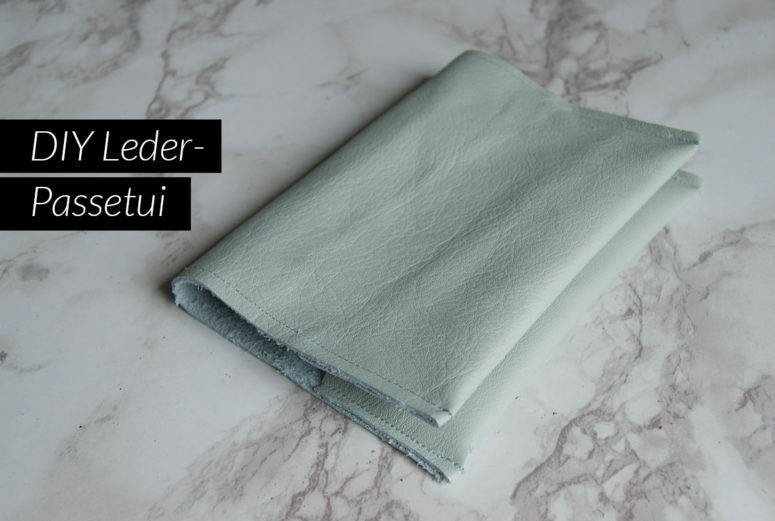 Read how to sew the pouch and enjoy the result – it can be used for some accessories or makeup, too. This large and comfy pouch will accommodate all the documents you have, your cards and much more – it’s very comfy in using! It’s made of leather and checked fabric for a stylish manly look, and there’s a pocket on a zipper to store your credit cards, for example. Read how to make one and enjoy. This document pouch is very elegant and very manly and refined at the same time. I totally love the pattern on the top of the cover – it looks very artistic and unique. 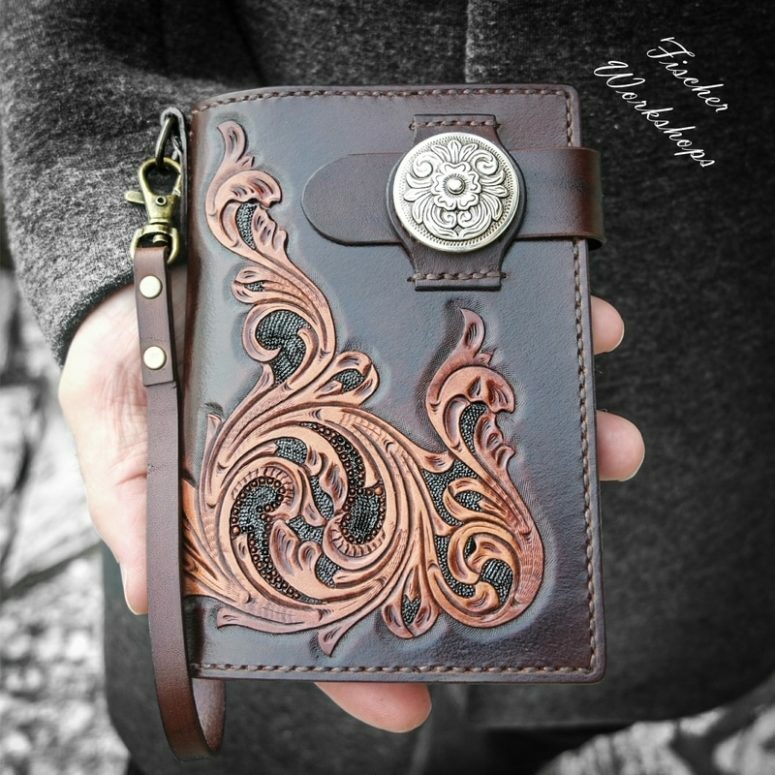 There’s a whole video tutorial to make this holder – take some time to make one, every guy will be surprised and excited by this amazing passport holder.